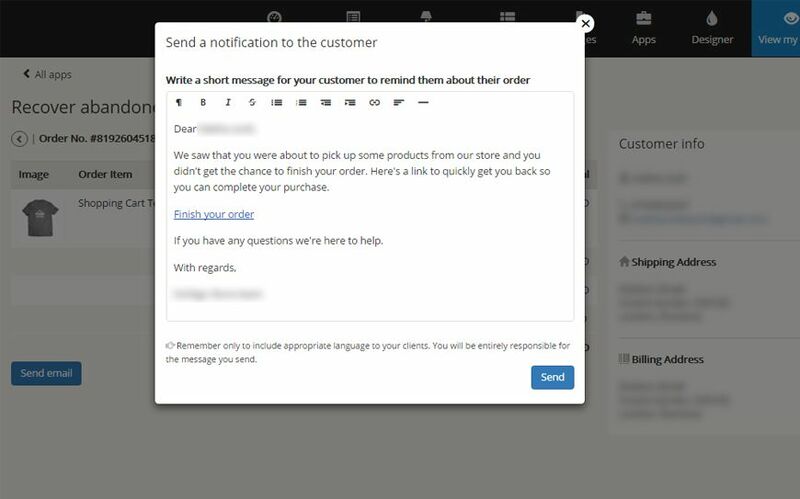 The Recover abandoned carts App helps you win back buyers by sending reminder emails to customers who abandoned their carts. This allows them the opportunity to return to your store to finish the order. 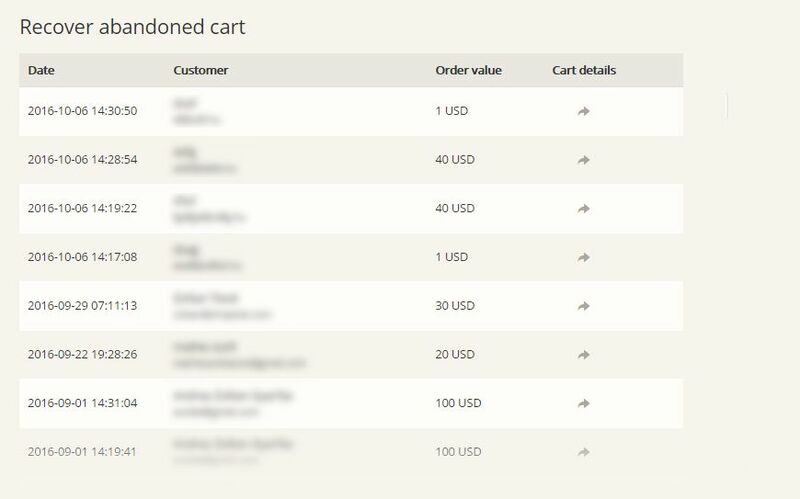 By using the app, you get a list of all abandoned carts and you are in full control of who to send the reminder to.